Give hope and a hand up to hungry Siouxlanders today. Someone is hungry today. Someone will be hungry tomorrow. It's hard to believe that Northwest Iowa and Northeast Nebraska have a hunger problem. How can can it be that there are 25,670 people in our community at risk for hunger? And how distressing is it to hear that 11,030 of the hungry are children? And then you begin to hear the stories, ranging from one-time clients (just caught in a bind for a short period) to those who need help regularly. Stories of families who do not qualify for assistance through SNAP (formerly food stamps) because their income is just $10 over the cut-off, yet there is no way to make ends meet. Stories of health accidents and tragedies that incur expenses that the budget just can't make. As the Food Bank, we want you to understand who we are serving...our friends,our neighbors, our families. Our world is changing a great deal, but sadly the story of hunger has not changed enough. There are still medical expenses, or other unexpected bills, that create uncertainty and budget crisis. Your support will help that neighbor, that friend, that family down the street. Your support will ensure that there is food for today and tomorrow. Together, we can fight hunger. Please send your gift now and be part of the solution to fight hunger in our community. 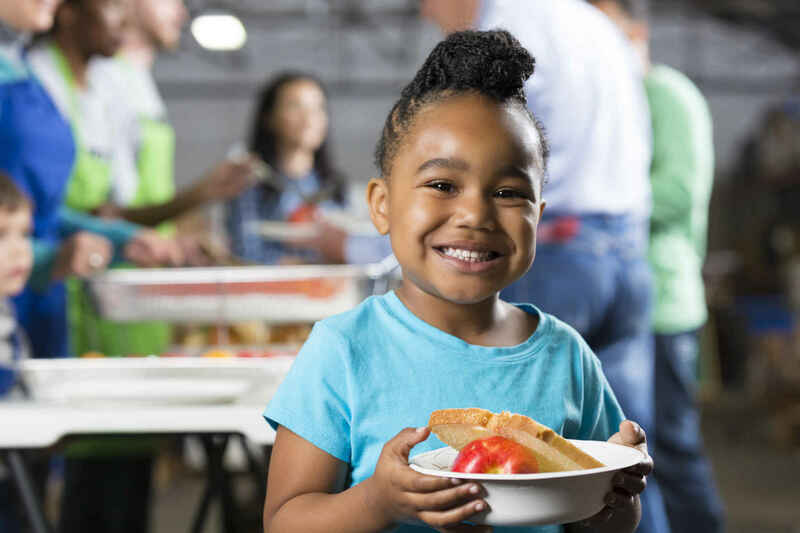 *Statistics are based on Feeding America's Map the Meal Gap data for 2018. I choose to give because my mom never let anyone leave hungry from our house...no matter how much we had. I would like this donation to target flood relief. Thank you for what you do! Keep safe from the flooding. May God bless you for a quick recovery. Because we all help each other out. Tomorrow, could be me.